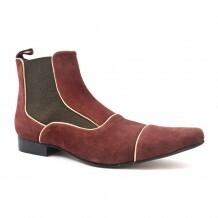 A cool brown leather chelsea boot with pointed toe and brogue detail. One to rock with style. 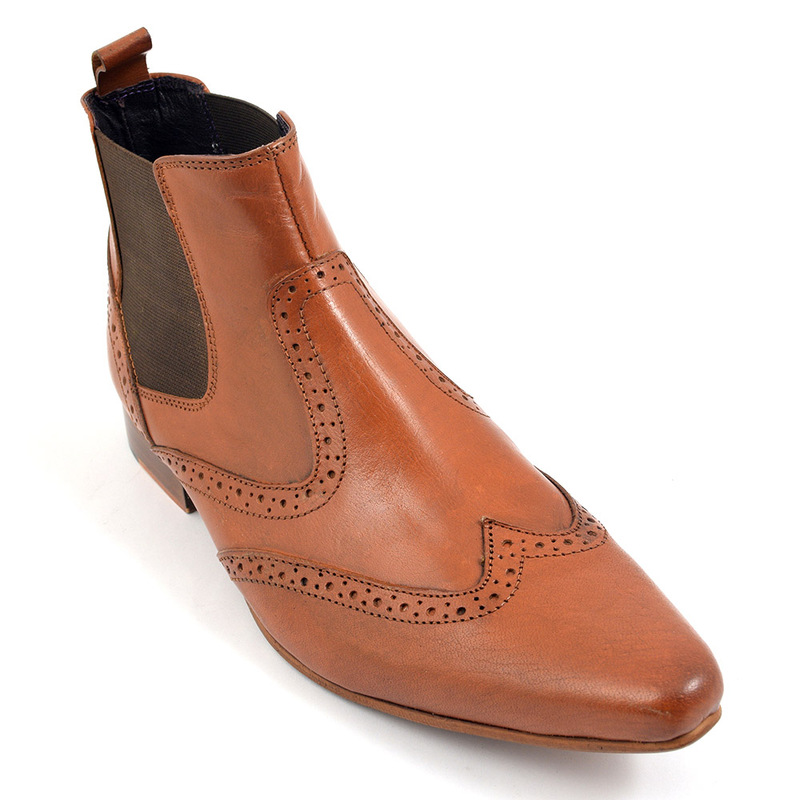 A tan pointed toe brogue boot which has a lot of detail and a lot of style. You can wear these boots with pair of skinny jeans and T and dress down or you wear with a shirt and jacket and dress it up. 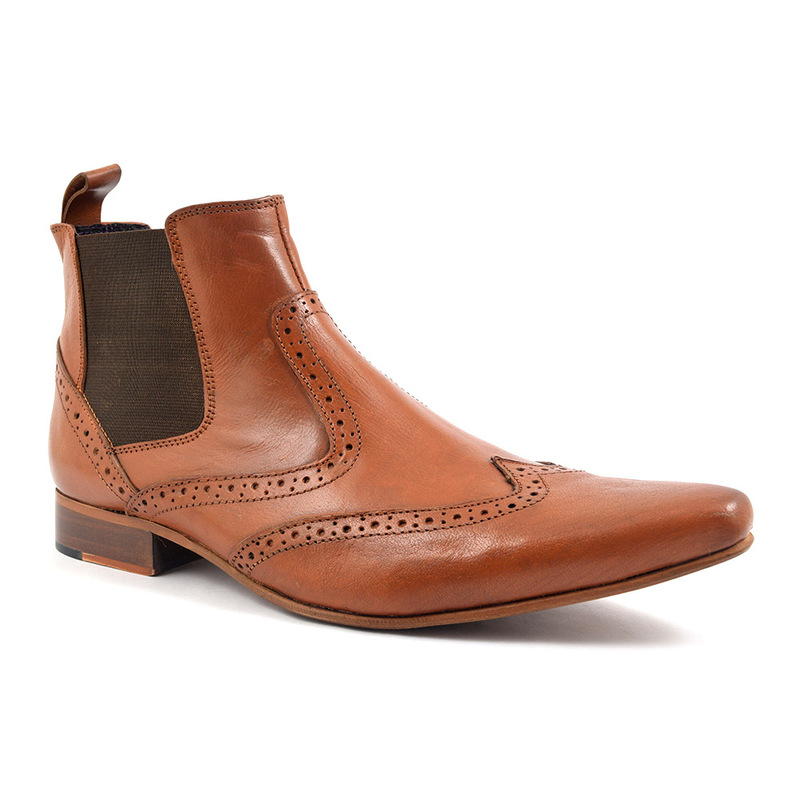 However you wear these tan brogue boots, you will be making a statement. One that says you love style and are individual about it. 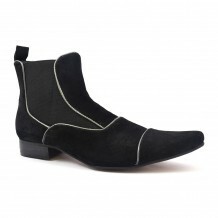 Lets face it not every man can pull off these chelsea boots but you know who you are if you can. Confidence is a must and originality another. Be the first to review “Albi Tan Pointed Toe Brogue Boot” Click here to cancel reply.